A bit of a washout, “flaming June!”. Still we managed to fly between the showers. The weekend looks quite flyable with the showers looking as if they will be to the North of us. Saturday Mike Greenwood and Guy Hartland are on duty, on Sunday it is Simon Adlard and Matthew Cook. If you need checks or want to develop your flying then these teams are ideal. I suggest you phone the office and book. Next week Paul Fowler is hosting the school camp with between 8 and 10 students. Unfortunately one of the instructors has had to withdraw and if any instructor can help Paul even for half a day we would be enormously grateful. 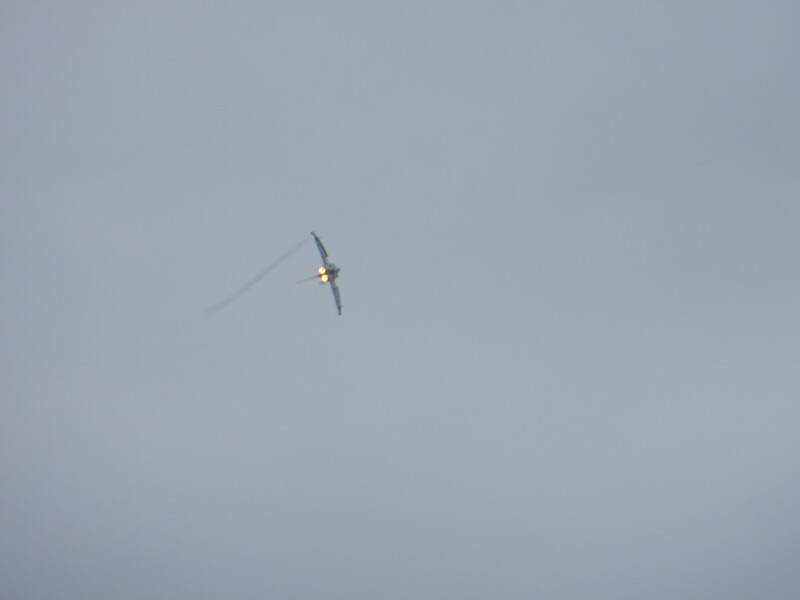 The effort Paul puts into the schools is immense and he is creating an investment in the future of gliding. Please help if you can. 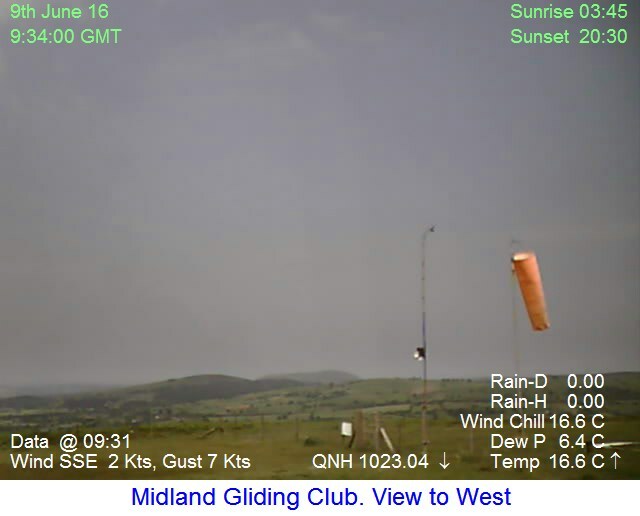 This is getting close now, 9th of July so please make a note in your diary to come along, enjoy some time with some fabulous gliders and fly as well. 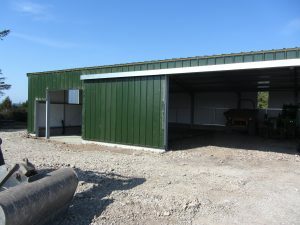 We are getting ready to do the fitting out of the shed now, Roger’s roller door is to be fitted then the electrics can be started. Rob and Jean Shepherd are helping with the communciations strategy and our marketing to potential members. To this end they are appealing for any video footage you may have. We are going to create a Google Channel and steer people to this for our video material. If you have any footage please email the office and we will be in touch. I make no apologies for reproducing below the latest message from the BGA regarding airspace, this is vital to our sport and therefore our club. Please take a moment to read it. EU – The medium to long term impact on gliding of a decision to leave the EU is anyone’s guess. and government support in Europe will naturally present a new and significant challenge. treat the symptoms but not the causes (we’ve regularly offered to help CAA to address the causes). your club pilots to the information. Tuesday we flew until midday, when it started raining. James and Marianne Fisher came for a visit with their children and promised to visit more often. Late in the evening the sun appeared through the mist for a brief but spectacular moment. Dave, Helen, Mike Dodd, Fay, Rob and Geoff Minshull represented the club at the Welshpool airshow last Sunday and despite poor weather, attracted a lot of interest to follow up. These events are hard work but can be so worthwhile, thanks very much to everyone involved. We took delivery of the latest addition to the club vehicle fleet this week, a Suzuki Vitara in remarkable condition. This is a test vehicle, paid for by the sale of one of our Landrovers. We all owe a huge vote of thanks to Julian Fack for organizing the purchase and delivery (using Dave Rance’s trailer) of this. Dave Crowson and Julian are running the evaluation project and the next steps are :- tow ball, gas conversion cost, field identification marker and radio. I tested the vehicle myself by taking it to where the ambulance and police cars got stuck at the South end and it dealt with it perfectly. If the tests are successful then we will compare the costs of using such vehicles vs the cost of maintaining the Land Rovers. The weather for the weekend looks flyable albeit a bit showery and we have slots available on both days. If you need a check or you want to develop your flying in any way then book a slot with the office. Clive Crocker and Mathew Cook are on duty on Saturday with volunteers on Sunday. We have a few places left on the course next week, call Martin if you would like to attend. 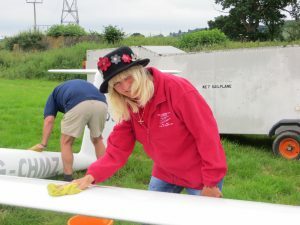 Wenlock Olympian Games Gliding – 9 to 16 July. A message from John Randall. Still time to enter your oldtimer! Its not just for those hard bitten competition types, We have prizes, not only for completing the tasks but also things like: “the best glider”; Maximum height achieved during the week; spot landing and even if the weather gods turn against us for the odd day then try your hand at reversing a glider trailer. 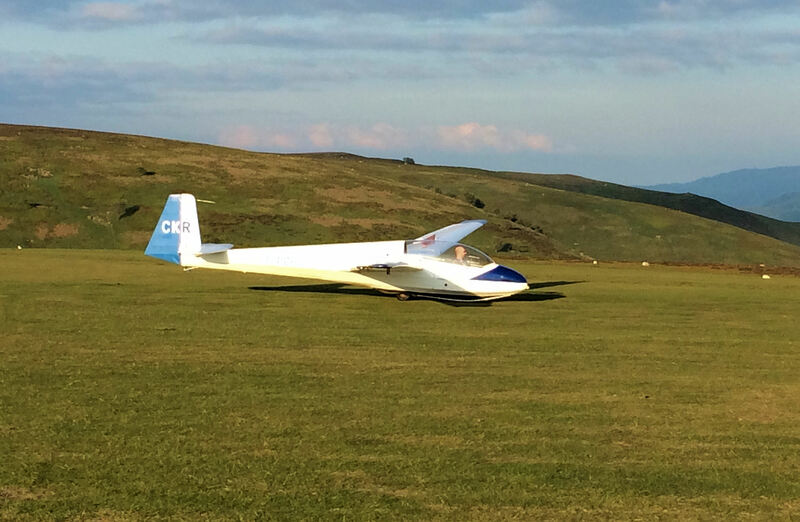 To start the week (Sat 9 July) we not only have the first tasks for the fullsize guys but also vintage scale model gliders that will be shown off not only on the ground but also flying between 5 and 8pm. 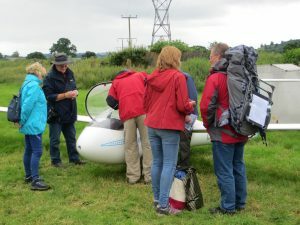 There are evening talks and other happenings after the gliding and eating has finished and to round off the week we have a Hog roast on Sat 16 JULY. Even if you aren’t competing please come along and join in. 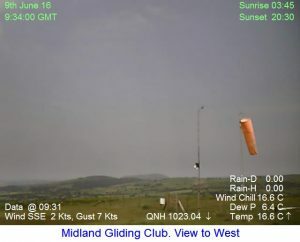 If the weather is soarable then we will be able to do club flying as well . We have insides as well as outsides now, the next step will be the fitting out and the electrics. Mathew Cook is in charge of the electric installation and the actual fitting will be done by volunteers. The caravan park is fully trenched and conduit laid and now Guy Hartland is running the project to bring the site up to a more modern standard. A few of us took the MGC stand to the Welshpool Air Show today. 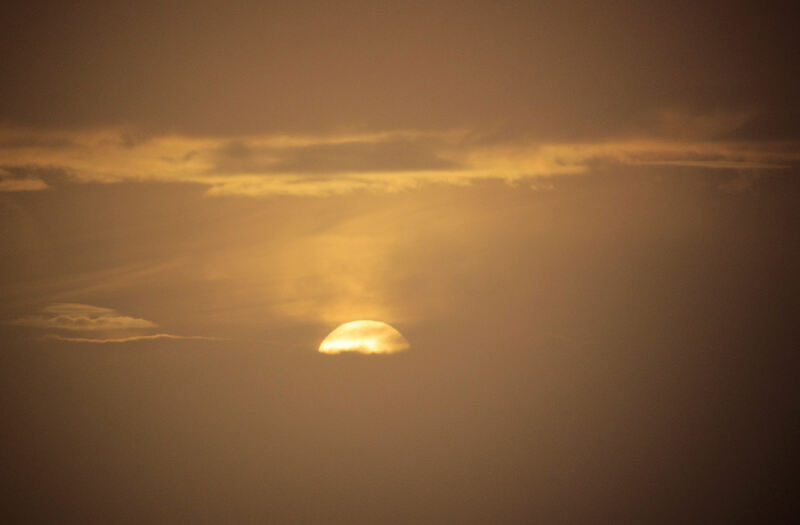 The weather was quite poor, unfortunately. Dave reckoned that the rain was due to start at 2, and in fact it started at 1.45. I don’t think the show was as busy as it has been in the past, with the dull weather in the morning, and the forecast rain, probably putting people off. But before the rain started, we had a productive time explaining gliding to potential customers, and some people will certainly come and have a First Flight. 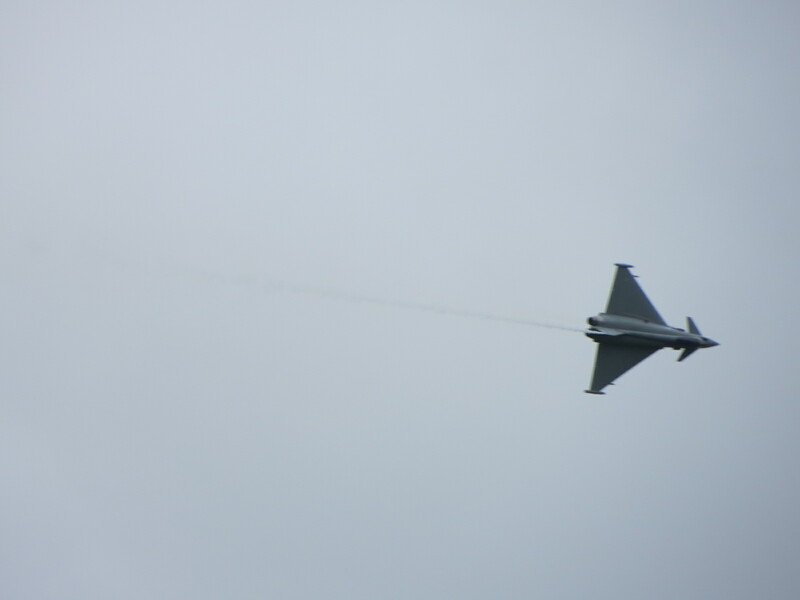 So it was well worth going, even if the air show itself was cut very short by the rain, with most of the scheduled flying not happening. I did get a few photos. Helen doing some cleaning, for a change…. Mike showing people a glider. Most of them thought it was a model. 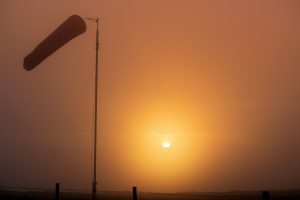 Assuming the weather models are correct, then a low cloud base on Sunday will make flying very unlikely. So, if you feel the urge to get your feet off the ground this weekend, Saturday looks a better bet – locally at least, you won’t need to worry should you forget to pack your map! Thanks to everyone who helped on the open day. As Sarah posted last week it was a terrific day and a significant part of our strategy to increase membership. I do hope this becomes an annual fixture. Interestingly a lot of the interest from the public came from the poster at the club entrance. Progress has been rapid as you will have seen from Dave’s postings . 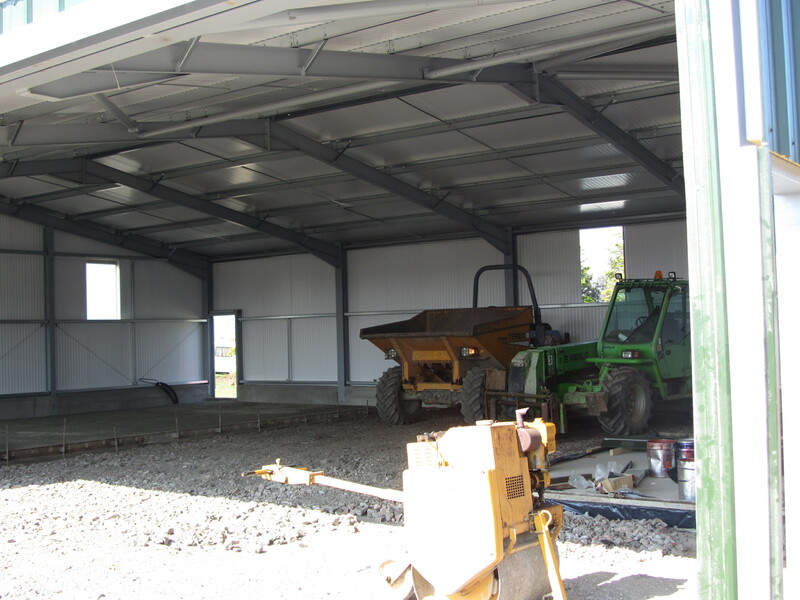 The next milestone is the internal carpentry and electrics. William Brewis has rejoined. William served the club for many years as an instructor and it is wonderful to have him back. The landrovers are starting to give concern and the committee is seeking ways to address this. They are part of our launching system, if we can’t retrieve quickly then we can’t launch quickly. Julian Fack and Dave Crowson are working on a replacement strategy. The accommodation block has a leak and we are still trying to get an affordable replacement which will stand up to our conditions. The number 1s for this weekend are Alasdair Lewis and Mark Sanders. The building ridge of high pressure looks good so get ready for some good flying. This time of the year, because of the longer hours, we can accommodate more flights in a day. This is now full and oversubscribed. Please keep your eye on your calendar and the web rota for up and coming events to ensure you get a place. The course week beginning 27 of June is also filling up. Please can I remind everyone of the Olympian event on the 9 th of July. Once again we seek help on the field to make this the fantastic event we have become famous for. Amy Johnson flying at the Mynd. Great to see how they did things in those days, though not that much seems to have changed. I’m sure some of the members are still here…. Many thanks to http://www.artsalive.co.uk/ for letting us know about the footage. Past Members Reunion & Flying Taster Day – an all round success! Yesterday was a real success! The morning saw a flurry of preparation, including Denise’s terrific clubhouse decoration, and a grand sweeping effort to make the hangar apron look presentable (here’s the motor glider enjoying the sparkly apron – it’s now so clean you could eat your dinner off it!). We welcomed a steady stream of previous members and new faces, and everybody had a chance to have 1, 2 or even 3 flights! It was great to see Alex Rowlands, Brian Connaughton, Jon Lewis, Jeanette Griffin, and William Brewis who re-joined the club after a couple of years away. We were also joined by a small but enthusiastic group from Wrekin College, and we look forward to welcoming them again next weekend. Overall the day was a great success, resulting in 1 member joining, 2 booking onto courses, and 9 or 10 previous members & new faces who will be coming back in the next couple of weeks to take advantage of their newly-minted 3 month memberships, and who will hopefully go on to become full members in due course! 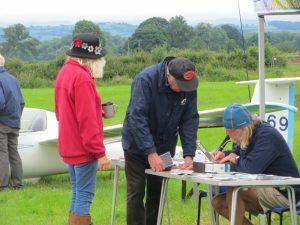 Thanks partly to the weather, we were not overwhelmed with people who ‘just wanted to try it’; instead, the people who came along were really interested in learning to fly, so it seems that the marketing angle worked effectively too. HUGE THANKS go to Chris Harris, Nigel Lassiter and Denise Hughes, who did a terrific job of organising the day. The committee would also like to extend our heartfelt thanks to every single person who helped out on the day, whether instructing (Mike Greenwood, Walter Baumann, Steve Lewis, Denise, and Matthew Cook), running the airfield, winching, greeting our visitors, working in the kitchen or the office, and tidying up at the end. Here’s a video of a happy customer on their first landing. 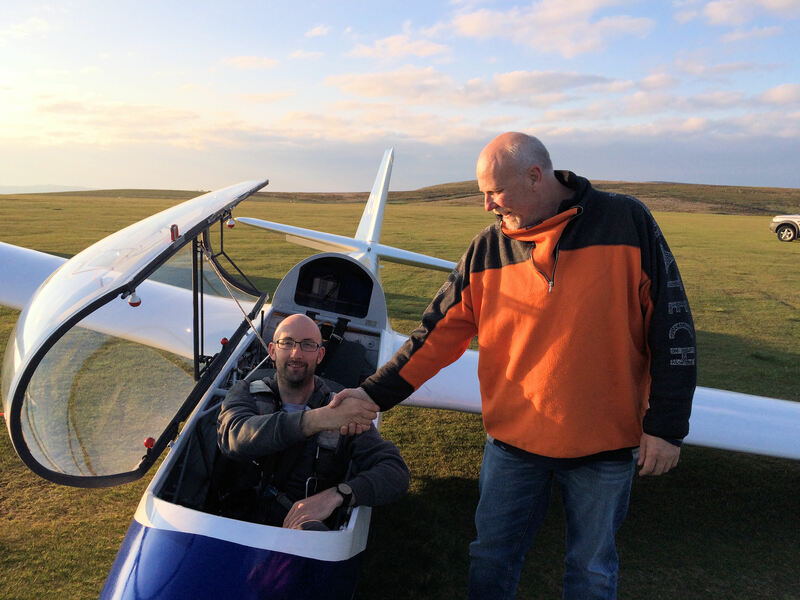 Last week’s course was a roaring success seeing two former members, Richard Bennett and Brian Connaughton, both re-solo so congratulations to them both. The evening courses are continuing to work well, with lots of progress being made by everyone. Looking flyable for the weekend, turning southerly and then westerly. We have slots available on both days. If you need a check or you want to develop your flying in any way then book a slot with the office. Mike Greenwood and Walter Baumann are instructing on Saturday and Sunday, and they are joined on Saturday by Nigel Lassiter and a further instructor, who will fly our Previous member guests and visitors. Joint “Previous Members” and “Flying Taster” Day – Sat 11 June. Bring a friend along or just come along to help, this is going to be a very busy day and is aimed at gaining new members and reminding past members of what they are missing. The advertising for this has been intense and we are expecting a lot of visitors and past members, please come along to help, it is in the interests of your club. Don’t forget that we will be running our “Bring a Friend” Reward Scheme for our members until further notice, so if you bring a friend to the club who subsequently joins as a full member, then we will give you your next 10 TEN launches absolutely free. What could be nicer than that! 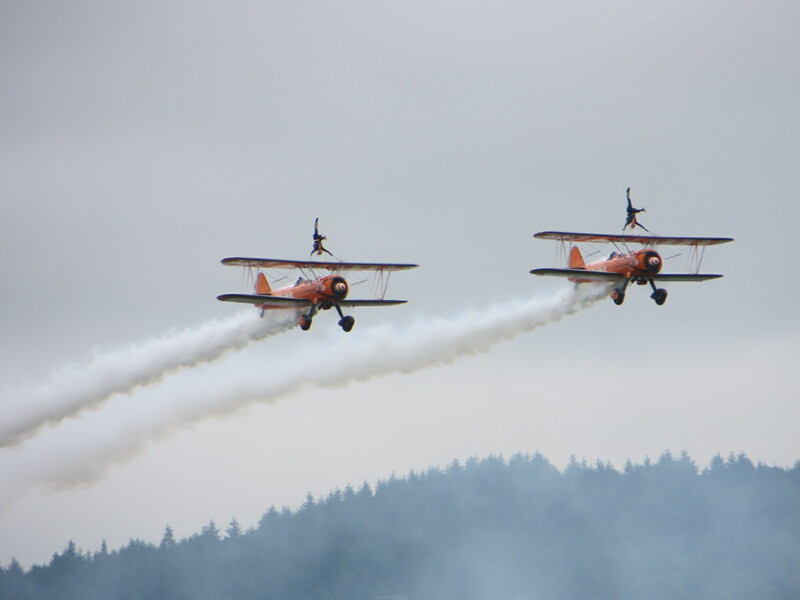 Steve Male is running an Aerobatics course week beginning the 18th of June. We are delighted that this is now fully booked, but if you are interested then contact the office and we can send you details of future dates we will be running later in the year (September). 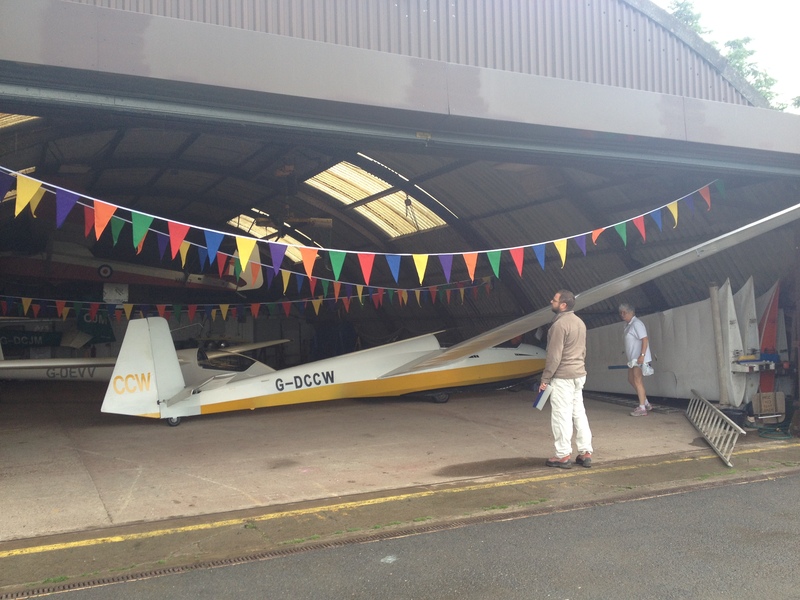 We are gearing up for hosting the Wenlock Olympian Society Gliding Games which runs from 9th to 16th July. The entry list is really hotting up now, so if you (or anyone you know) have a wooden glider & are interested in taking part, then contact the office sooner rather than later. We are running a Cross Country course from 6th to 14th August – we’re starting to take bookings for this so let Martin know if you’re interested. Task Week this year runs from 20th to 29th August, so it’s a good idea to get your entries in now! Two-seater cross training will be available on a limited first come first served basis – so if you are interested in developing your cross-country flying or seeing how it’s done, then get booked in NOW. 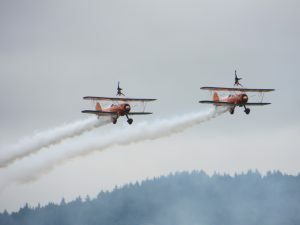 (The way the two-seater training generally works is that you agree to take it in turns to fly and crew, so you don’t necessarily need to be there all week if that’s not possible for you). The club calendar is a good way of checking what is coming up, if you haven’t already got a copy then ask in the office. We are getting ready to produce the next one so can I ask you to submit your pictures for consideration in the new calendar. Email them to Neal or the office directly. In addition can I put out a plea for photographs for the web site gallery. The purpose of the gallery is to show visitors what they can expect when they come to the club, grounds, hangar, accommodation, bar etc. Please think to yourself what would I need to see before I arrive and I would be very grateful if you would send the pictures to Neal Clements or Sarah Platt (see website for email address). 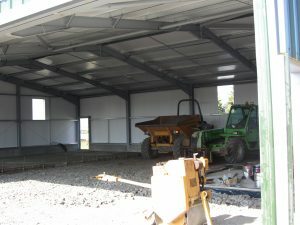 The building is progressing well and the floors are now down. Next job is to hang the doors and windows, and the completion date is expected to be next Wednesday. Then the internal fit out will start. Guy Hartland and some willing volunteers have started to tackle the caravan park & it’s already looking a bit tidier. It now also has the makings of an entrance road. Don’t forget to keep avoiding the marked areas of newly-sown grass, so that they have the best chance of taking well. 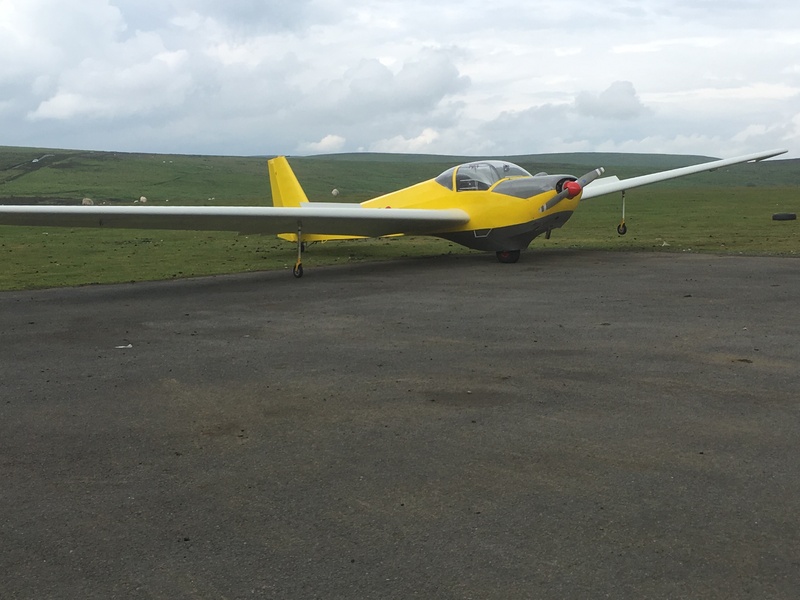 The monthly Shobdon LAA Strut meeting TONIGHT – Thursday evening (9th) is about e-go aircraft. See their web site at http://www.e-goaeroplanes.com/ If you would like to know more do go along at 7:30 pm. There is a nominal £2 fee to pay for the speakers expenses (£1 for Strut members). The cafe will be open for food and drink from 6 pm. The BGA monthly newsletter is available here: http://www.gliding.co.uk/bgainfo/notices/newsletters.htm . 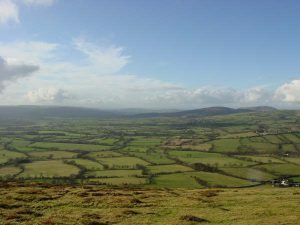 For those that haven’t been at the Mynd recently – progress is good. Most of the walls/ cladding is done. Concrete base goes in this week. The following week we hope to have the stud wall up which will divide Roger’s workshop from the MT section. Roger gets an insulated concrete base. The bank holiday weekend was superb (better than I forecast) with a lot of launching and many cross country flights. Everyone had as much flying and training as they wanted and thanks again to David Brown for doing a fabulous job on the winch. The evening courses are working well, Mark Williams went solo and consolidated it at the weekend by converting to the K8. Guy Hartland completed his C instructor training module at the weekend at Hus Bos. The weather for the weekend looks flyable and we have slots available on both days. If you need a check or you want to develop your flying in any way then book a slot with the office. A volunteer instructor and Guy Hartland are on duty on Saturday and Steve Foster and Charles Carter are on duty on Sunday. The club calendar is a good way of checking what Is coming up, if you haven’t already got a copy then ask in the office. We are getting ready to produce the next one so can I ask you to submit your pictures for consideration in the new calendar. Email them to me or the office directly. In addition can I put out a plea for photographs for the web site gallery. The purpose of the gallery is to show visitors what they can expect when they come to the club, grounds, hangar, accommodation, bar etc. Please think to yourself what would I need to see before I arrive and I would be very grateful if you would send the pictures to me or Sarah Platt (see website for email address). 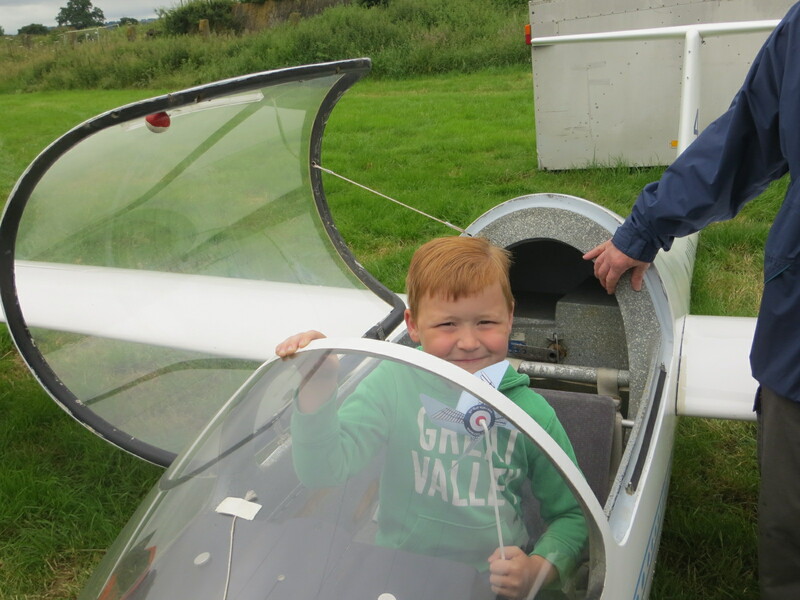 Flying Taster day 11 June. Bring a friend along or just come along to help, this is going to be a very busy day and is aimed at gaining new members and reminding past members of what they are missing. The advertising for this has been intense and we are expecting a lot of visitors and past members, please come along to help, it is in the interests of your club. 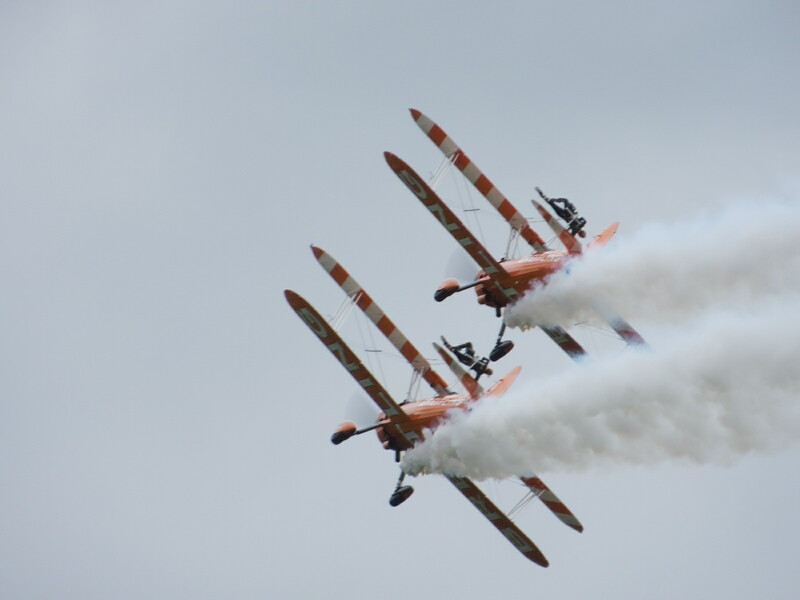 Steve Male is running an Aerobatics course week beginning the 18th of June. If you are interested then contact the office first and we can send you details. Martin tells me this is filling up quite quickly so I suggest you book now. We have sides! The cladding is on and we are well on track. As you can see there has been considerable progress and it looks like the cladding will be complete by the end of next week. The next step is the internal fittings. The bills are starting to arrive and we owe a huge vote of thanks to Dave Wedlock for his sterling efforts in restraining the costs. Projecs like this inevitably attract a lot of “while we are at its”, the death knell of many a project and Dave has steered a fantastic line keeping a grip on the project. 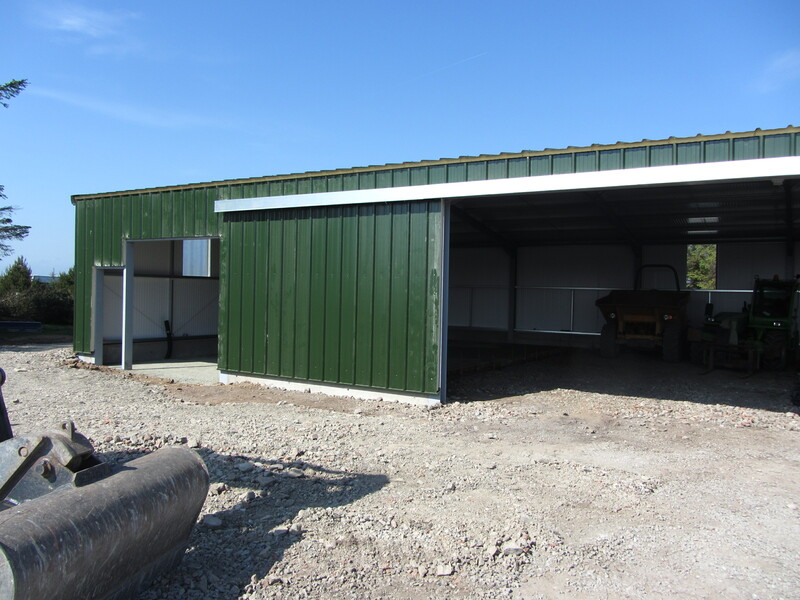 The MT shed project also includes moving the access road to the caravan park, amending the fencing and putting electricity into the campsite. These tasks will be completed once the shed is finished. In the meantime Guy Hartland is creating the plan to bring the caravan park up to a more modern standard, he has already started by moving the empty gas bottles. The accommodation block has sprung a leak and we are trying to find a way of re-roofing it which will provide insulation, waterproofing and be affordable. The club runs an operational plan containing the upcoming events. These are reflected in the Calendar and the web site. We will be rolling it forward in July so we can have the new calendars available by the early Autumn. The figures continue to look healthy but there are quite a few capital projects queuing up and we will decide on the priority and sequence of these once all the bills for the MT shed are settled. As well as infrastructure projects we will be looking to future proof the fleet. We are launching a range of new packages aimed at new members and we are offering special deals on the 11th of June at the joint Past Members Day, & Flying Taster Day. This has been heavily advertised and if you could come along and volunteer then this would be greatly appreciated. The Astir canopy is broken through wear and tear but everything else is flyable and flying. A lot of work has gone into the seeded areas just to the East of the road. It is essential to keep off them and all duty instructors are asked to brief about this. We would also like to make the areas more visible. The cyclists/walkers who emerge from the East are being encouraged to go South and then round to the West onto the Starboard Way. To achieve this we have mown paths and installed a stalling corrall, all that is left is the signage. We hope this will reduce the number of times launching has to be held because of traffic crossing East to West. 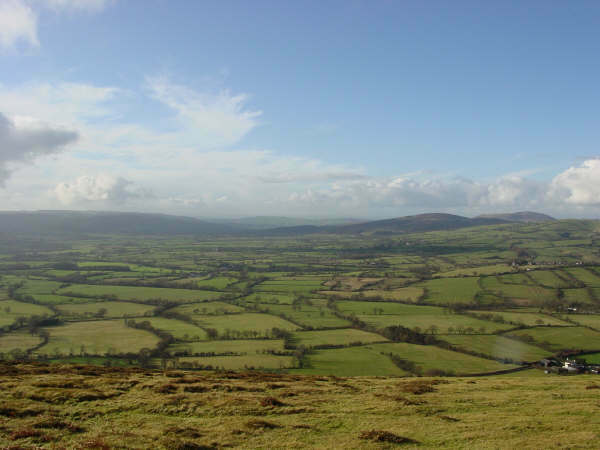 You will have noticed a dramatic increase over the past couple of years in the number of apparently feral horses both on top of the Mynd and intruding onto the airfield. We have walked the fence and found it to be generally in good condition but we need to find out how they are getting in and address it. If anyone knows if these horses have owners would you be kind enough to get in touch with me.